Call Disaster Doctors today if your Ogden home or business has experienced flood water damage. Our licensed, certified crews are available 24 hours a day, 7 days a week, and can be to your Ogden residence in an hour or less in most cases. That kind of rapid response time is essential to a proper water extraction and restoration process. No matter what caused the disaster, we can get the cleaning going and repairs completed. That includes damage from rain water, plumbing failures, appliance breakdowns, and more. Disaster Doctors isn’t just a water extraction company. We are a complete general contractor, that can handle the entire water removal, as well as handle all repairs necessary to get your home back to normal. We even save you time and the hassle of dealing with the insurance company. Our experience in water damage restoration means we can deal with any insurance company you are using. “Cameron and Disaster Doctors are amazing! One of my tenants called me in a panic that a drain had backed up and was overflowing in the basement. They were out to the house in literally 15 minutes from me calling! They took care of everything at a very fair price and put the tenant at ease with excellent customer service. I didn’t even have to go out to the house. I would highly recommend Dissaster Doctors to anyone!” – Dan H.
“I called Cameron with a flooding issue and he had his team out to our home in no time. The professionals working for him are very knowlegable and explained to me all of my options in detail. I highly recommend Disaster Doctors, my experience with them has been exceptional!” – John D.
When you first notice you’ve experienced flood water damage, no matter the source, the first thing you’ll want to do is contact an Ogden water damage restoration company. Standing flood water in your home is causing damage from the time it’s first making contact with your drywall and flooring. To limit this damage, get the water extraction process started immediately. With a call to Disaster Doctors, we can be at your home in an hour or less to begin removal of standing flood water. Our crews use only the best high-powered vacuums and expert draining techniques to remove the standing water. This attention to detail will ensure no further damage to be done to the affected area. There are a lot of ways that a water damaged area can be dried improperly, which is why it’s important to hire a water damage restoration company that’s certified, bonded, and handles all types of water damage. Disaster Doctors uses only the best dehumidifying equipment available and uses expert drying techniques so that we can ensure not only that the affected area is completely dry, but also free of potentially dangerous pathogens, mold growth, or foul smelling odors. The last thing you want to happen to your Ogden home is a company to cut corners during the drying process. This may save you a few dollars initially, but will cost much more to go back and fix after repairs have been completed. Now that your flooded Ogden home has been cleaned up and dried out, the final step of the water mitigation process can begin. This process involves complete restoration to the flood damaged areas of your home. Disaster Doctors is a complete general contractor, meaning we have the expertise needed to handle any repairs necessary to your home, including flooring, drywall, electrical, and more. Often times, customers will have us improve the area affected by flooding. Why not take a regular old bathroom that was damaged by a flood, and turn it into the bathroom of your dreams? Give Disaster Doctors a call today, and we will get the water damage restoration process started for you immediately. Disaster Doctors also provides the Ogden area with sewage damage cleanup and sewage removal services. Sewage can be the worst kind of damage you experience in your home. Raw sewage is the hardest to clean up by far, and can contain very high amounts of harmful bacteria. Black water is also very dangerous, and can leave behind some heavy damage if not properly cleaned up and the affected area repaired. Originally named Fort Buenaventura, the city of Ogden was the first permanent settlement by people of European descent in the region that is now Utah. It was established by the trapper Miles Goodyear in 1846 about a mile west of where downtown Ogden is currently located. In November 1847, Fort Buenaventura was purchased by the Mormon settlers for $1,950. The settlement was then called Brownsville, after Captain James Brown, but was later named Ogden for a brigade leader of the Hudson’s Bay Company, Peter Skene Ogden, who had trapped in the Weber Valley a generation earlier. Ogden is home to attractions such as Ogden-Hinckley Airport. 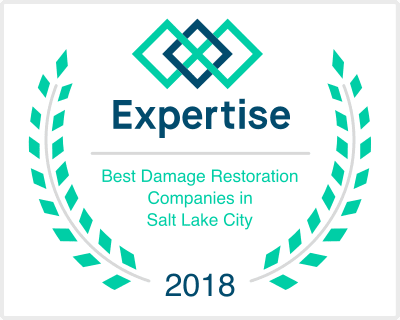 We provide water damage Ogden UT and North Ogden UT services to 84244, 84201, 84401, 84404, 84405, 84402, 84403, 84407, 84408, 84414, 84415, 84409.